The Bank of England has cut interest rates for the first time in seven years, and will revive a broad stimulus program to try to prevent Brexit tipping the U.K. economy into recession. 1. Lost growth: Output would be 2.5% -- or £45 billion -- less by the end of 2018 than it forecast in May. 2. Higher unemployment: 250,000 people will lose their jobs over that period, even after the stimulus measures. 3. Rising prices: Inflation will hit 2.4%, up from 0.5% now as a sharp fall in the pound pushes up import costs. Interest rates were cut to a record low of 0.25%, which should reduce mortgage repayments for many homeowners and make it cheaper for companies to borrow. Savers and pension funds, on the other hand, are likely to suffer. 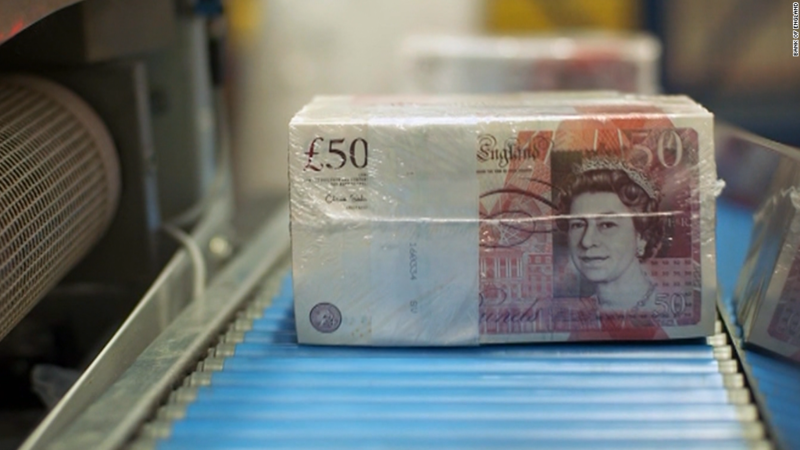 The bank said it would pump £70 billion ($92 billion) into the economy by printing money to buy bonds issued by the British government and about 150 companies. The bank's program of quantitative easing -- already worth £375 billion -- has been on hold since July 2012. There will also be a new £100 billion funding program for banks designed to prevent their profit margins being squeezed still further by record low interest rates. "Following the United Kingdom's vote to leave the European Union, the exchange rate has fallen and the outlook for growth in the short to medium term has weakened markedly," the bank said. "Recent surveys of business activity, confidence and optimism suggest that the United Kingdom is likely to see little growth in GDP in the second half of this year." A survey of companies in the services, manufacturing and construction sectors published earlier this week suggests the economy is already contracting. And there's a 50% chance of a recession over the next 18 months, according to the National Institute for Social and Economic Research. That's a remarkable reversal for what was until recently the fastest growing developed economy in the world. Most economists were expecting a rate cut, but some had expected the central bank to hold off any further action until the government unveils new tax and spending plans in the fall. Markets appeared to be surprised by the scale of the stimulus package unveiled Thursday -- the pound dropped 1.4% to $1.31, while the FTSE 100 index of leading stocks gained 1.5%. Bank of England Governor Mark Carney said the bank could throw more money at the problem if the economic outlook does not improve later this year. But he also made clear he would not support the introduction of negative interest rates, unlike central banks in Europe and Japan. Nor would he contemplate using "helicopter money" -- which effectively sees a central bank write a big check to the government, who then hands out cash to taxpayers. "I don't see the merit in the strategy," he told reporters. "I can't conceive of a situation where we would need to pursue such flights of fancy here in the U.K."